The Union Cabinet chaired by the Prime Minister Shri Narendra Modi today gave its approval to move official amendments in the Compensatory Afforestation Fund Bill, 2015. The legislation will ensure expeditious utilization of accumulated unspent amounts available with the ad hoc Compensatory Afforestation Fund Management and Planning Authority (CAMPA), which presently is of the order of Rs.40,000 crore, and fresh accrual of compensatory levies and interest on accumulated unspent balance, which will be of the order of approx. Rs. 6,000 crore per annum, in an efficient and transparent manner. Utilization of these amounts will facilitate timely execution of appropriate measures to mitigate impact of diversion of forest land, for which these amounts have been realised. Apart from mitigating the impact of diversion of forest land, utilisation of these amounts will result in creation of productive assets and generation of huge employment opportunities in the rural areas, especially the backward tribal areas. i. Amendment of clause 2 (e) of the Bill to make the list of environmental services inclusive and to delete some of environmental services for which credible model to assess their monetary value does not exist. ii. Amendment of clauses 2 (I) and 30 (1) of the Bill to provide for prior consultation with States Governments for making rule under the new legislation. iii. Amendment of clause 4 (1) of the Bill to provide for establishment of State Fund of a Union territory having no legislature under Public Account of the Union of India. iv. Amendment of clause 6 (d) of the Bill to provide for use of monies realised from the user agencies in lieu for forest land diverted in protected areas for voluntary relocation from protected areas. v. Amendrnent of clause 8 (4) (ii) of the Bill 'to include Secretaries of Ministries dealing with Space and Earth Sciences as members of governing body of the National Authority. vi. Amendment of clause 8 (4) (x) of the Bill to increase the number of expert members in governing body of National Authority from two to five. vii. Amendment of clause 9 (2) (ix) of the Bill to increase the number of expert members in executive committee of National Authority from two to three. viii. Amendments of clause 11 (2) and 11 (3) of the Bill to include an expert on tribal matters or representative of tribal community as a member in both steering committee and executive committee of a State Authority. ix. Amendment of clause 15 (1) (i) of the Bill to fix time limit of three months for Executive Committee of National Authority to approval annual plan of operations of State Authorities and to empower Executive Committee Of National Authorities to make amendments in annul plan of operations of State Authorities. x. Amendment of clause 29 of the Bill to provide for laying of the annual report and the audit report along with memorandum of action taken on recommendations contained therein of State Authority constituted in Union Territories having no legislature before each house of the Parliament. The amendments do not involve any additional expenditure. The legislation will extend to the whole of India except the State of Jammu and Kashmir. While according prior approval under the Forest (Conservation) Act, 1980 for diversion of forest land for non-forest purpose, Central Government stipulates conditions that amounts shall be realised from the user agencies to undertake compensatory afforestation and such other activities related to conservation and development of forests, to mitigate impact of diversion of forest land. In compliance of Orders passed by the Hon'ble Supreme Court these amounts are deposited in the State-wise accounts operated by an Ad-hoc Authority consisting of two officials of the Ministry of Environment, Forests and Climate Change one representative of the Comptroller and Auditor General and one representative of the Chairperson of the Central Empowered Committee. In the absence of permanent institutional mechanism more than Rs.40,000 crores have accumulated with the said ad-hoc Body. In order to provide for the establishment of funds under the public accounts of India and the public accounts of each State and crediting thereto the monies received from the user agencies towards compensatory afforestation, additional compensatory afforestation, penal compensatory afforestation, net present value and all other amounts recovered from such agencies under the Forest (Conservation) Act, 1980 Central Government introduced the Compensatory Afforestation Fund Bill, 2015 in the Lok Sabha on 8th May 2015. The Bill also provides for constitution of an authority at national level and at each of the State and Union territory Administration for administration of the funds and to utilise the monies so collected for undertaking artificial regeneration (plantations), assisted natural regeneration, protection of forests, forest related infrastructure development, Green India Programme, wildlife protection and other related activities and for matters connected therewith or incidental thereto. On 13th May, 2015 Lok Sabha referred the Bill to the Department-related Parliamentary Standing Committee on Science & Technology, Environment & Forests. On 26th February, 2016 the Committee submitted its report to the Parliament. 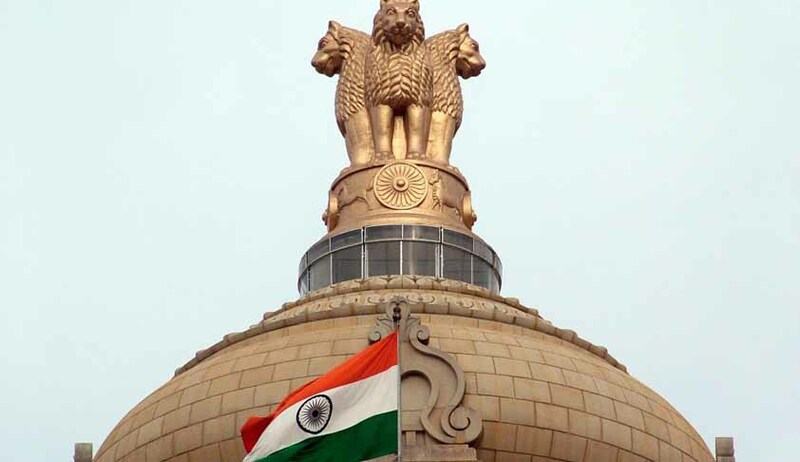 The Central Government after examination of the report of the Department-related Parliamentary Committee propose to move official amendments in the Bill.